Dennis “Denny” Anderson was born in Eveleth, Minnesota, on January 18, 1944. While in high school he joined the radio broadcast club and after graduating went on the air for Virginia’s WHLB radio, beginning a lifetime as a radio and television broadcaster. Over the years Anderson received many honors, including two Emmy Awards, an Edward R. Murrow award, and three Eric Sevareid awards for his coverage of the plane crash that took the life of Senator Paul Wellstone. Anderson has been called “The Voice of the Northland” (Duluth News-Tribune), “the dean of television broadcasting in[the Northland” (Duluth Budgeteer), and “the Walter Cronkite of the Northland.” (Neill Atkins, KDAL-Radio). During his broadcast career Anderson also found time to work in the funeral industry, and serve as a Catholic Deacon. 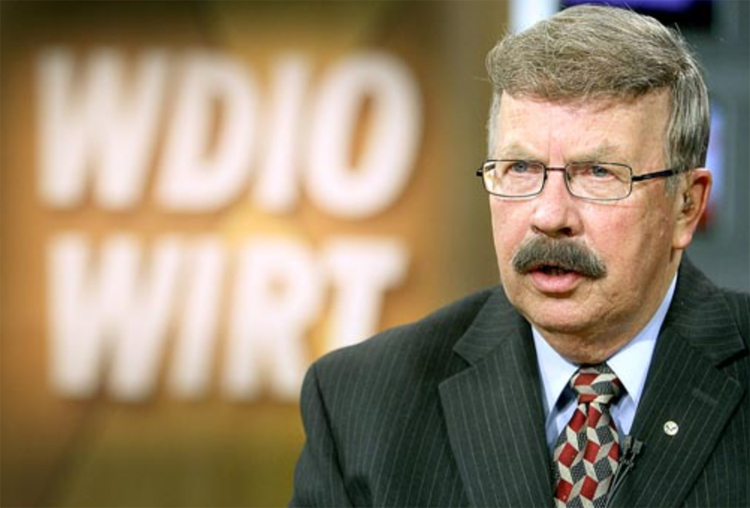 He retired from WDIO in 2011 and now co-hosts “Almanac North” on Duluth’s WDSE-TV every Friday evening. Anderson’s memoir, Goodnight Everybody, and Be Kind, was published by Zenith City Press in 2005. From Good Night, Everybody…and be Kind by Dennis Anderson (Zenith City Press, 2005). Click on the cover to preview the book.